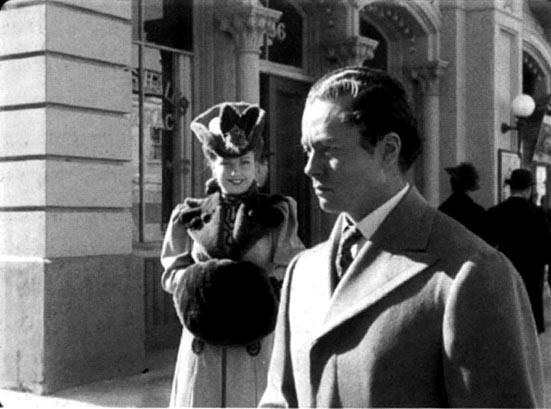 Now … I would, if a gun were held to my head, pick THE MAGNIFICENT AMBERSONS over CITIZEN KANE. But how does James know this? I don’t recall saying that here, and I’ve only mentioned AMBERSONS once in detail in this post here, where I lament upon 23rd viewing the fact I can never see it again for the first time but didn’t compare it explicitly to KANE. Telepathy? 1) KANE’s structure makes it a bit of a stumper on first viewing,² certainly when compared to AMBERSONS. Philistine that I am … I persist in believing this is at least somewhat of a flaw. 2) Charles Foster Kane is an enigma in some ways that George Amberson Minafer is not, especially since Rosebud pretty much turns out to be a psychological red herring, compared to George’s comeuppance. Plus George’s comeuppance gets brilliantly, gradually forgotten over the course of the film, until it’s yanked back in the most shocking “remember this?” voiceover-narration line ever (in contrast Rosebud weaves itself throughout the film a bit much for a red herring). 3) Agnes Moorhead has more than one scene in AMBERSONS, and Welles even manages to make good actors out of Tim Holt and Ann Baxter. I also treasure Welles’ radio-trained voice more than his physical presence as an actor,³ so making him the narrator is a mo-fo genius move. 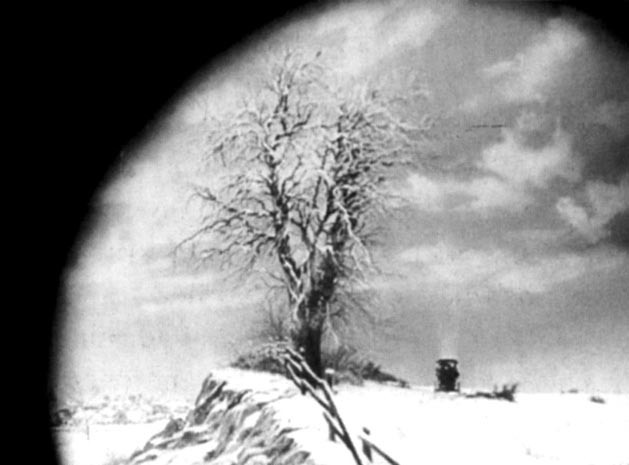 4) The last scene of AMBERSONS, which is always held against it, is not bad at all despite the “hearts and flowers” reputation it’s picked up. Eugene’s dialog and the plot points are rather the same as Welles’ original cut (George has been reconciled to both the Morgans, thanks to Isabel’s intercession). Though I shudder to think of hearing this in a poorhouse with a senile Fanny half-listening. And to repeat … I’m comparing masterpieces here, and it’s like saying MACBETH was “only” Shakespeare’s fifth-best play. But I wouldn’t blame a KANE-lover from reacting as though I’ve “trashed” his favorite to elevate mine. ¹ Actually, I would guess that a very significant share of my readers, if not a majority, don’t share my political or religious beliefs. Particularly since I prefer to write about snooty art films, the audience for which is overwhelmingly secular-liberal. ² Though again, Welles is a brilliant visual storyteller and no film structured like KANE is could possibly have been more of a pleasure and an ease to follow. ³ Again, not that his movement and presence are bad or nothing — just that the voice was the best part of him.